Remember that show Double Dare that aired on Nickelodeon? Yeah, that show with the slime and the obstacle courses and Marc Summers before he became responsible for nearly every show on the Food Network? That show is celebrating its 30th anniversary and reminding me just how old I am. How the hell did we get here? It seems like just yesterday when I was sitting on my couch wishing that I could be one of the contestants on Double Dare, knowing beyond a shadow of a doubt that I’d be able to find the flags that those kids missed. I knew all the answers to the questions. I’d mentally mapped the best means for negotiating the obstacle courses. If I’d only been a contestant on the show, the trip to Busch Gardens or Space Camp would have been mine, no doubt. I mean who wouldn’t want a set of encyclopedias or a typewriter? Typewriters were legit back in the day. And that’s the moment when you realize that “back in the day” has become a common saying in your conversations, and you are indeed, old. And this Double Dare reunion seems intent on not letting you forget it. Not only did they bring back host Mac Summers, sidekick Robin Russo and announcer John Harvey, but they invited members from the cast of All That do the challenges. Yes, they doubled the nostalgia, and seeing an adult Kel Mitchell, Lori Beth Denberg, and Danny Tamborelli all side by side is something you’ll never be able to unsee. 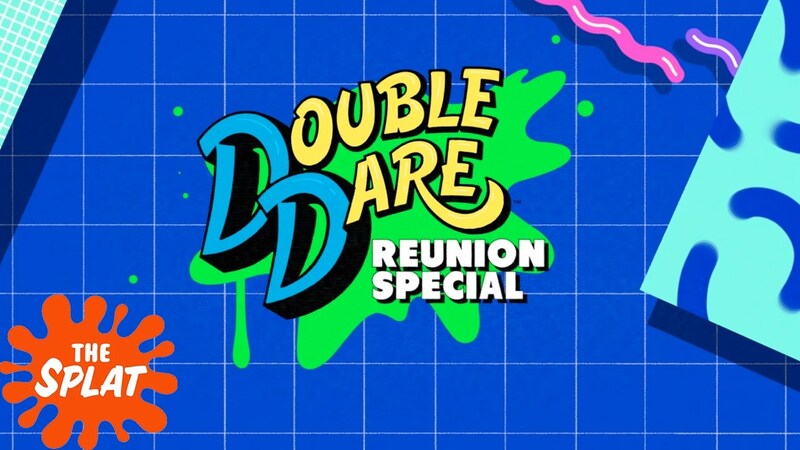 The Double Dare Reunion Special airs on Wednesday, November 23 at 9 p.m. ET on Nick at Nite, with a same-day encore set for The Splat at 10 p.m. ET. Watch the two promos below!